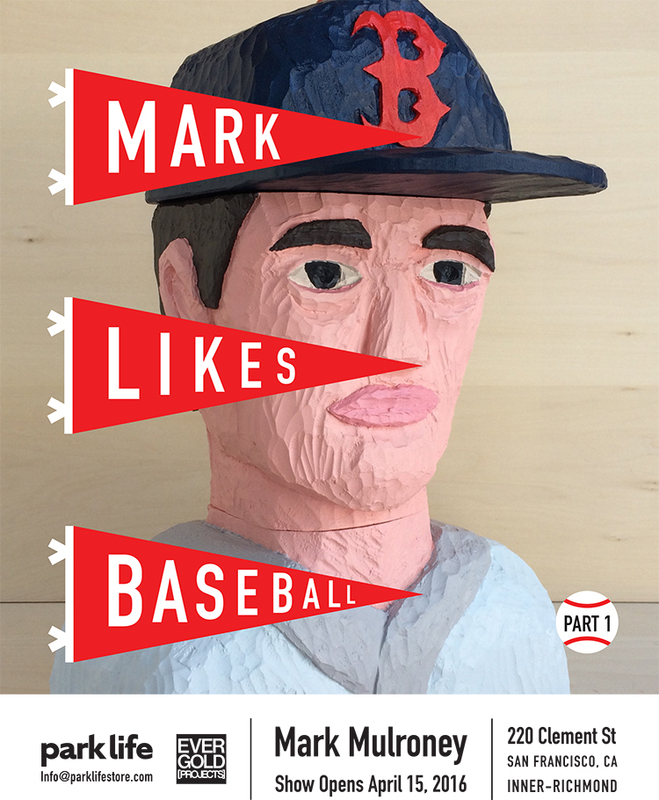 “Mark Likes Baseball Part 1″ is the first in an ongoing and sporadic series of shows about the history, graphics and social impact of baseball on our culture. Paintings, collages, wood-carvings, interactive sculptures and plenty of homemade baseball cards will be included along side written descriptions of the works. In an effort to communicate his enduring love for the game of baseball Mulroney has made all of the works in the spirit of friendship and generosity. If you love baseball you might find something to like in this show and if you hate baseball you might hate it a little bit less after seeing this show. Opening Reception Friday April 15th 6-9pm. This show is being presented in collaboration with Ever Gold Gallery.